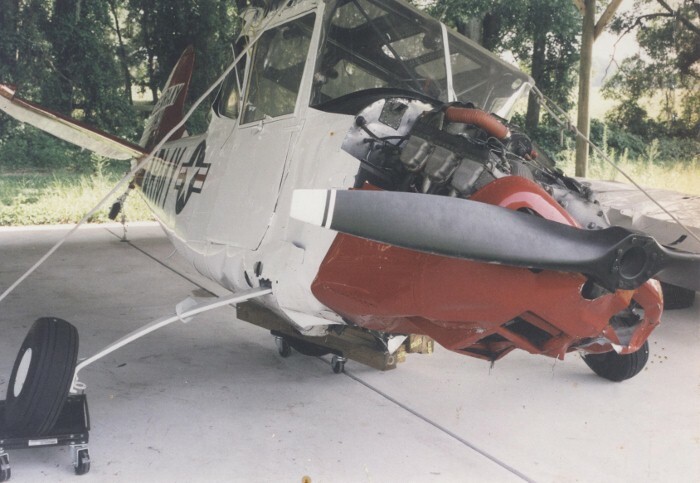 Before being acquired by the Museum, the Birddog was damaged in a landing incident. 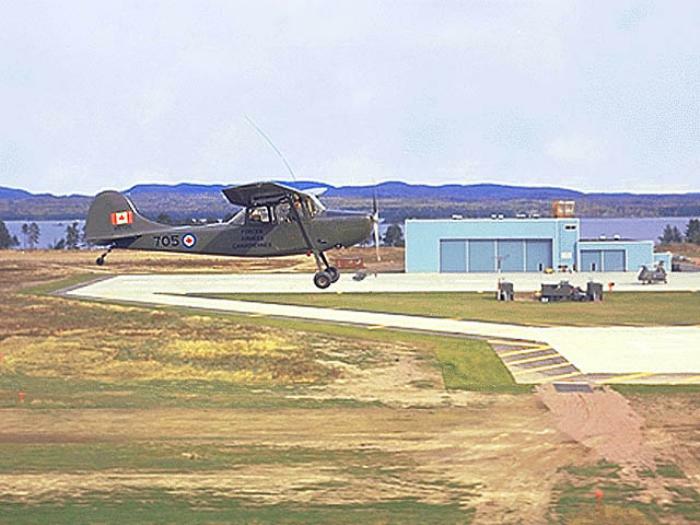 The Museum acquired the Birddog in 2011 from Sault Ste. Marie by truck. It had been in storage for several years. 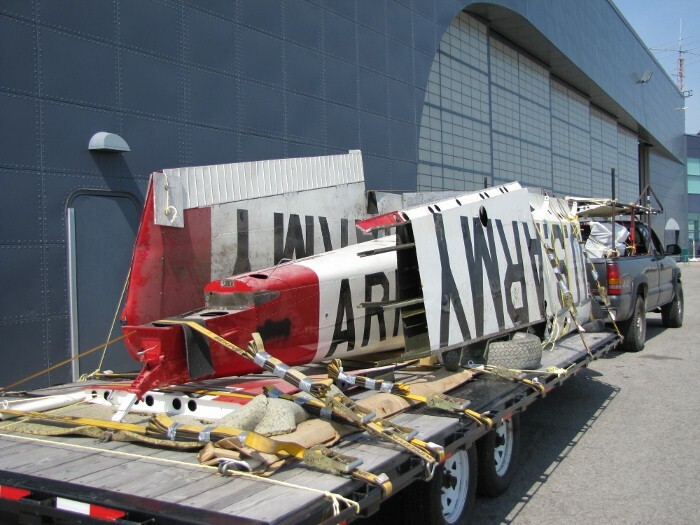 The Museum&apos;s Birddog is currently in storage awaiting restoration to flying condition in the future. 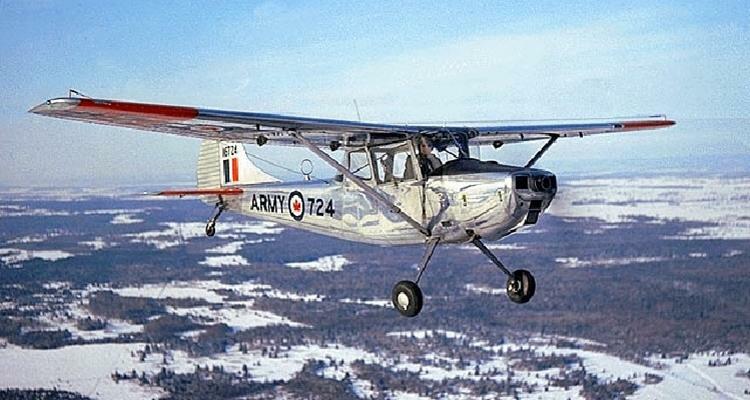 The Cessna L-19 Birddog was developed in 1950 from the Cessna 170 4-place, civilian light aircraft, by fitting a more powerful 213 hp Continental 6 engine to it. 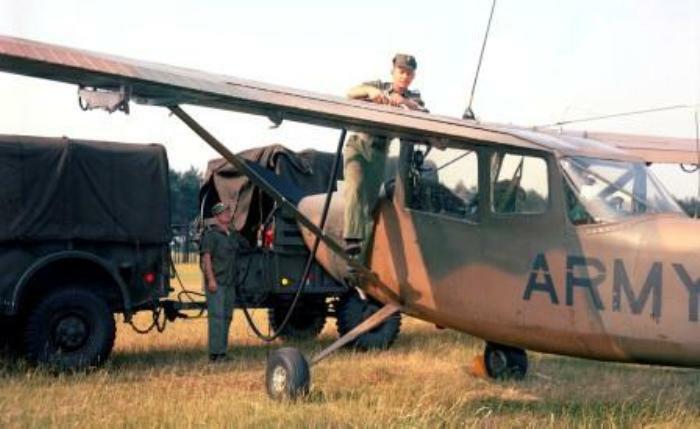 The Birddog’s military role was to be that of an observation/light communication plane for the US Army. 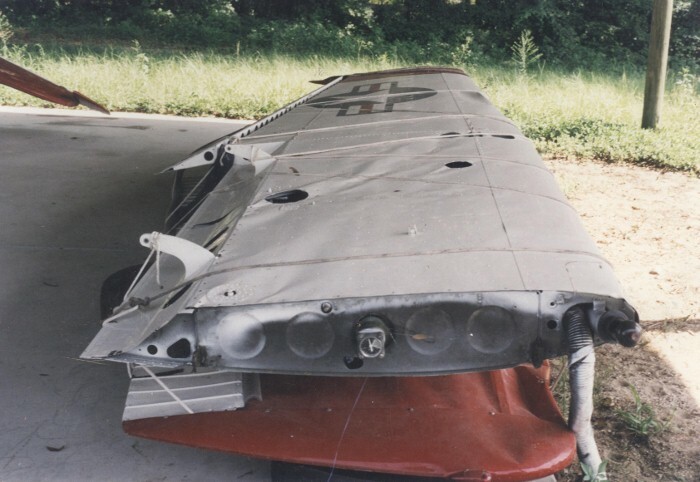 Structurally, the L-19 Birddog differed significantly from its civilian predecessor, with its passenger capacity reduced to two, the aft superstructure radically altered to provide a clear view rearward, and a transparent panel inserted in the wing above the seats. The access door was widened to accommodate a military stretcher, for which brackets were installed. The L-19 was judged to have much better performance than its WW II counterparts, as well as being more comfortable for its pilot and observer. Although they were flown only in small numbers in the Korean War, L-19 Birddogs were widely used in the early days of the Vietnam War, when the US military operated many of them in Forward Air Control and observation roles. 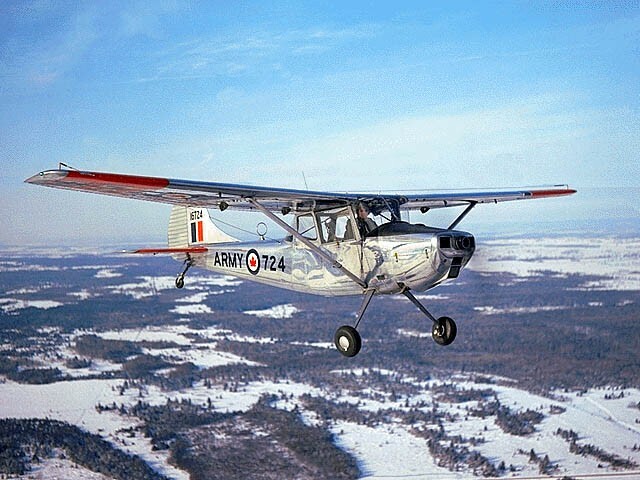 Manufacturing commenced in 1950 and by the time the final aircraft was completed in 1962, 3,431 L-19 Birddogs had been built. 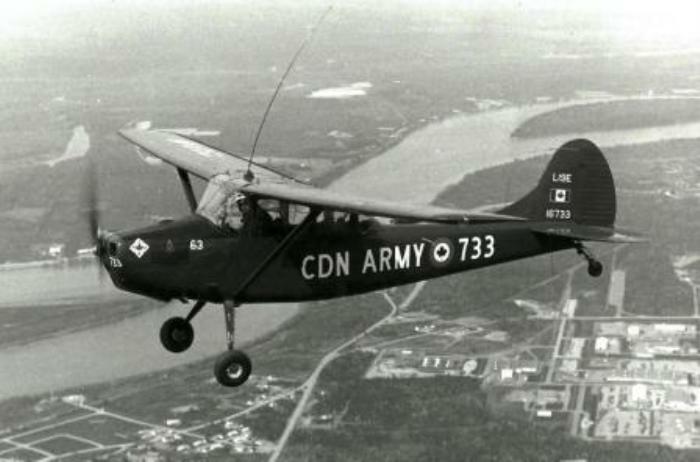 A total of 29 Cessna L-19 Birddog aircraft were purchased, commencing with the first buy in 1954, for use by the Canadian Army for use as artillery spotters and general liaison aircraft. They were fine observation platforms for checking the accuracy of the Army’s guns and self propelled howitzers. In 1973, the L-19 Birddog was retired and replaced with the Bell Kiowa helicopter. 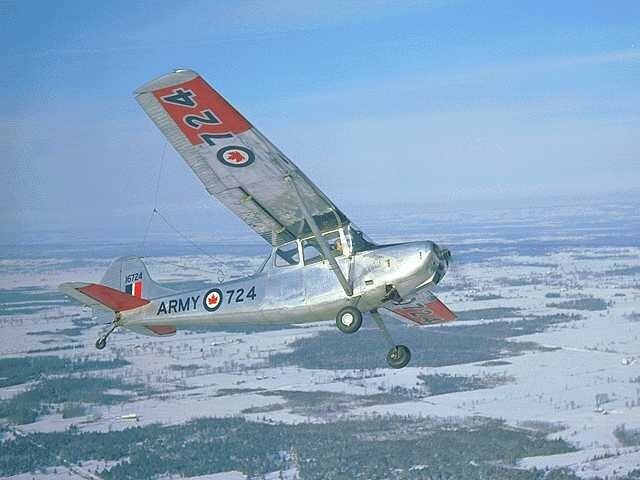 Following their Army service, many of these aircraft became tow planes for the Royal Canadian Air Cadet League’s glider training programme. The Museum’s Cessna L-19 Birddog was acquired in 2011. It will be restored to represent an artillery spotter flown by the Canadian Army in the 1950s.